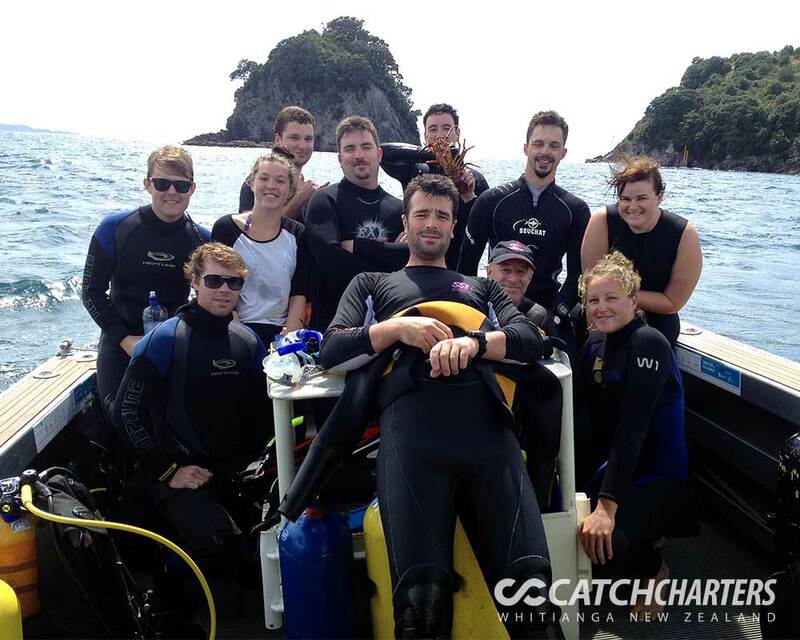 Da Rottie can carry up to eight divers on each dive charter so there is plenty of room for group bookings. 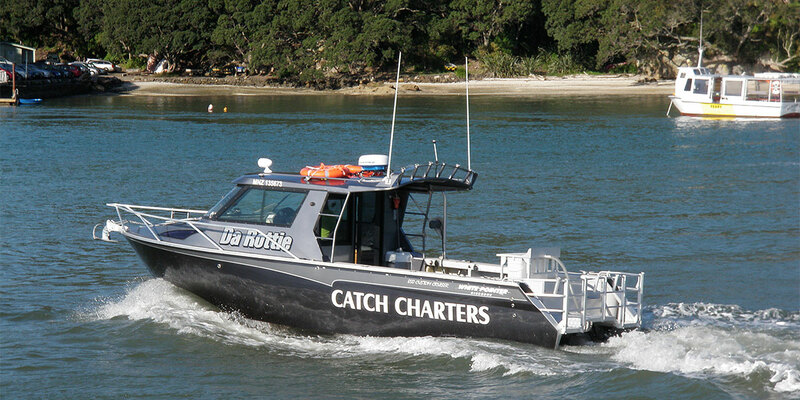 Catch Charters has three great dive packages available. Please note that all dive trips are subject to minimum numbers of divers and the weather conditions. There is plenty of storage for all the gear including two bottles per diver. 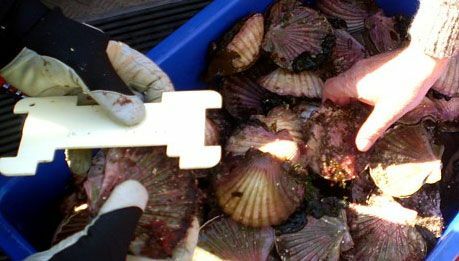 Scallops, crayfish and spearfishing are all within easy reach and you'll have great access in and out of the boat. 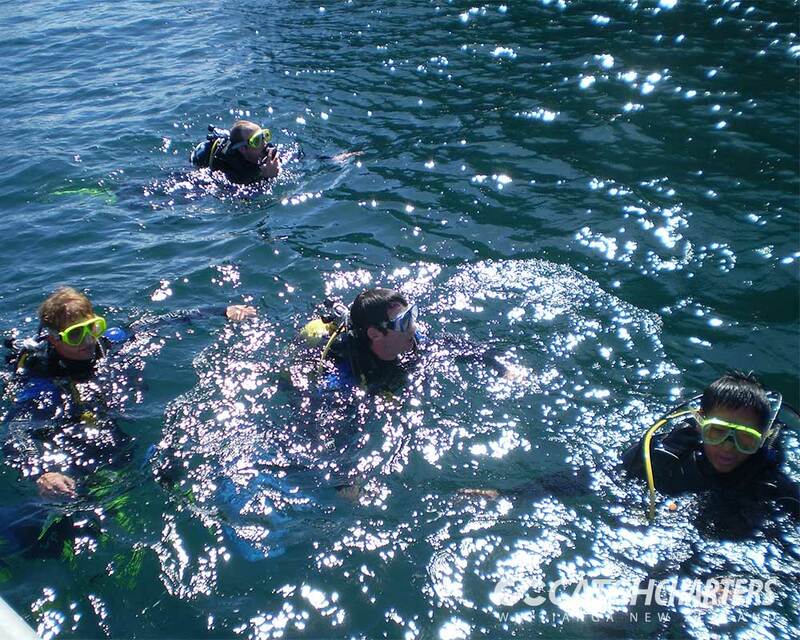 Please enquire for group packages if you have more than four divers. We can take up to seven divers. Our crew will provide any necessary assistance during your day. 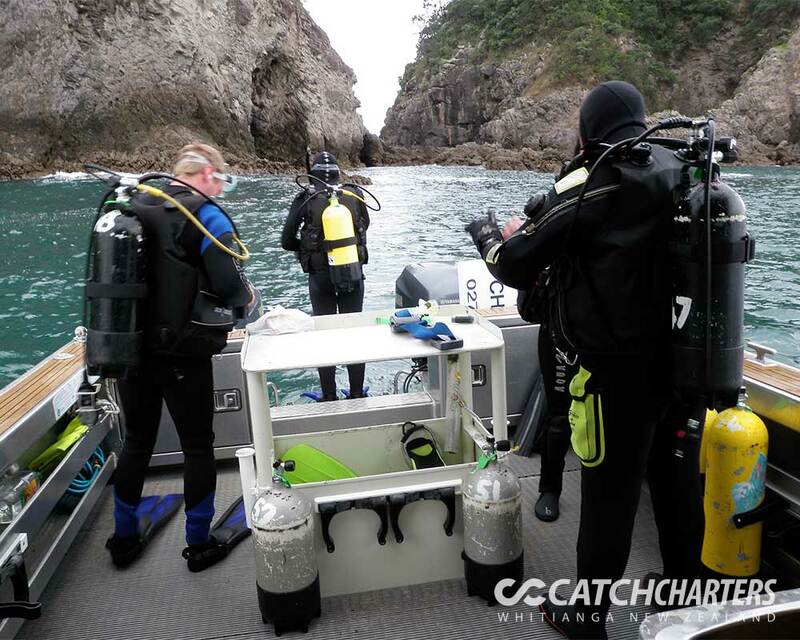 We take responsibility for getting you to the dive site and return to Whitianga however, your safety while you are in the water is your responsibility as we do not dive, do not have oxygen available and are not trained to treat bends or other dive related issues that may arise. 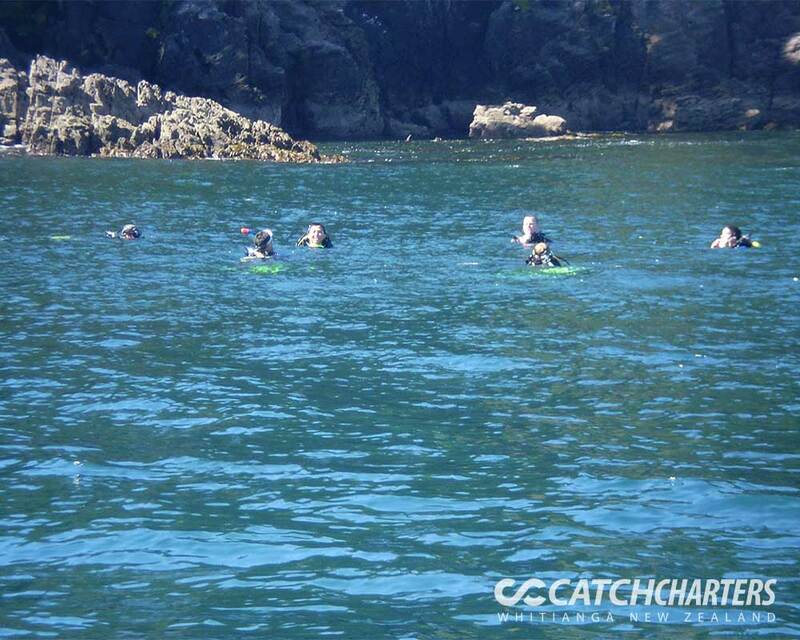 Obviously your safety is our prime concern so you need to be confident and experienced in the water. We do not offer hire equipment but we can put you in touch with a company that does. 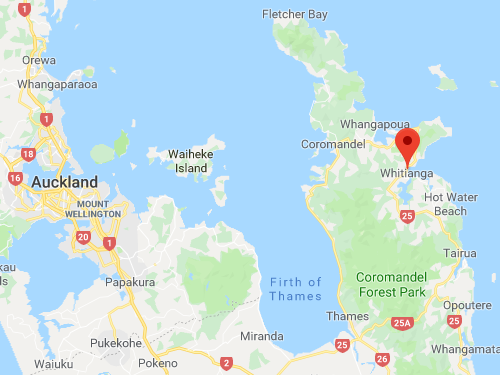 Owner operator Mike Hanham is a qualified Skipper who has been on boats and fishing the New Zealand coastline for most of his life. He is passionate about fishing and diving and runs a friendly efficient operation. Mike is assisted by his partner Lee who also has extensive fishing experience. Mike and Karen will make you feel welcome. 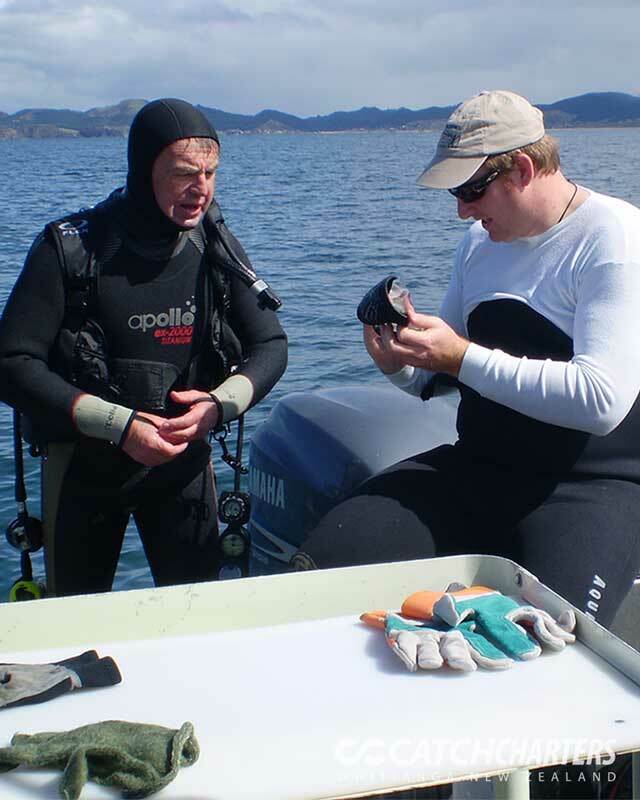 Dive equipment is available for hire from our local Whitianga dive shops, Whitianga Sports and Dive Zone.